I teach Musical Theatre, Gospel, Country, Blues, Jazz, Rock-Pop! Build a great tool belt with vocal exercises that help you voice grow. I also teach performance techniques so you not only sound great you look great on stage too. Mary Ann delivers an exceptional lesson experience and ranks in the top 15% of our teachers nationwide. CD. Her influences included, Denyce Graves, Jessye Norman, Ella Fitzgerald,The Beatles, Eric Clapton, Sarah McLaughlan, Eva Cassidy, Jane Monheit, and Led Zeppelin. Teacher, Retail Store, Sales, Instrument & Equipment Repair and Service, Instrument Rentals. Mary Ann was very helpful and patient when teaching me how to play the guitar for the first time. She is also very funny so don’t worry about getting bored! I already know that she is an excellent guitar teacher . Mary y Ann is a wonderful teacher who is very patient and begins at the level where the student is. Without reservation I recommend her to anyone who is interested in learning the guitar. I have enjoyed talking lessons from Mary Ann. She is fun and has many great ideas to achieve my singing goals. I appreciate taking voice lessons with Mary Ann. She is helping me get my singing voice back in shape, by improving my breath support, and balancing my vocal tone in the high, medium and low ranges. I’ve only had two voice lessons with Mary Ann so far, however, I really enjoy working with her. She has some wonderful exercises to help me achieve my singing goals. Mary Ann is patient and great with little kids. Good feedback. Lots of encouragement. Could have given five stars but, Skype connection was bad, Intermittently. MaryAnn is a great teacher. My daughter has been taking guitar lessons with her for about 4 months and she has learned so much. May Ann is awesome, can't wait to take more lessons from her. Great instructor and so friendly! I have already noticed an improvement in my daughter's singing after just a few lessons! Mary Ann is very friendly and talented! My favorite thing about working with Mary Ann is that she wants to teach me to play songs I love! Mary Ann was very good. She put me at ease and gave very good instruction to a rank beginner. I'm looking forward to my lessons with her. She is kind and patient with me. I enjoy learning the songs that I pick and she works hard to teach me. Where to begin? 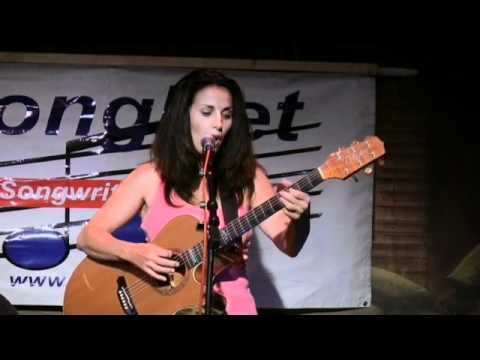 Mary Ann Graham is a top-notch singer-songerwriter, guitarist, and performer. Her expertise at what she does creatively as well as onstage is translated through her teaching. She is always prepared to give her students the best learning experience than they can receive, each according to their unique individual levels. Mary Ann is a top-notch, high-caliber music instructor, artist, and performer. I took voice lessons from Mary Ann at Groovin' On Music from 2007-2009, and they were worth every penny. I was a background singer in a worship team at church and I was shy to sing lead because I didn't know how to sing vibrato or navigate the falsetto break in my range. I had always wanted to take lessons as a kid but never was able to until adulthood. I was a bit nervous when I first came in, but Mary Ann put me at ease. She is a beautiful spirit who inspired me, challenged me, and made me laugh. She is not only amazingly talented and experienced, but she genuinely loves people and makes the lessons an enjoyable experience. Mary Ann definitely took my voice to the next level. Many people have commented on the difference in my voice and my confidence level before and after the lessons. I now sing lead, am at home with my vibrato and know how to use all the notes in my range. I would absolutely recommend Mary Ann as a voice coach for people of all ages! Maryann Graham is the best teacher and best friend I can possibly have! 😍😍 I highly recommend her to anyone. She's super sweet and is a great teacher and helper. I've known her for 10 years. I absolutely love her. She's my teacher and bestie. Mary Ann is an unassuming personable teacher. She is very quick to access your abilities to determine a basis on which to start your learning. Structured but fun and very effective. I learned to read music in 4 lessons. I recommend her 100% if you want to reach your goals…. Mary Ann is very thorough and thoughtful with her teaching. She pushes when needed and gives warm encouragement when the student feels incapable or has hit a block. She is very talented and has much experience to use as a teacher. I highly recommend her if you wish to excel. MARY ANN IS VERY PATIENT AND KIND. SHE HAS INSPIRED ME TO LEARN MORE ABOUT PLAYING THE GUITAR. Great teacher!!! She makes my lesson easy and fun to learn. I love her and want to keep learning guitar skills from her! My daughter started lesson with Mary Ann about two months ago. I have heard nothing but positive comments from my daughter about the teacher. My daughter started off with voice lesson and is now adding Ukulele and guitar lesson as well. Thumbs up! I had a great experience! Started playing the Uke right away. Learned 2 songs and 6 chords, and how to tune my very first lesson. She makes the work fun. Totally recommend!!! to read music. never thought i 'd do that. all in all it's lotsa fun.